Essentialism: The Disciplined Pursuit of Less by Greg McKeown – This is a book about something I firmly believe in, doing fewer things better. It provides some tactical steps you can take to focus on only the things that are most important. Email Marketing Rules: How to Wear a White Hat, Shoot Straight, and Win Hearts by Chad White – This book provides a series of best practices for email marketing. 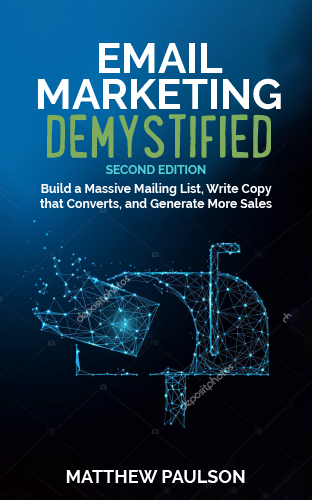 While it’s similar to some other books that I’ve read, it will ensure that you’re not doing anything terribly wrong in your email marketing efforts. The Smartest Little Investing Book You’ll Ever Read by Daniel Solin – Daniel Solin provides a scathing discussion of how most financial advisors and financial products are working against the best interests of investors and instead advocates that people learn the basics themselves and invest in boring, inexpensive and effective index funds. The Innovators: How a Group of Hackers, Geniuses, and Geeks Created the Digital Revolution by Walter Isaacson – Isaacson offers a series of short biographies of people that made significant contributions to the creation of the first digital computers, personal computers and the Internet in The Innovators. You’ll learn about technology pioneers including Vannevar Bush, Alan Turing, John von Neumann, J.C.R. Licklider, Doug Engelbart, Robert Noyce, Bill Gates, Steve Wozniak, Steve Jobs, Tim Berners-Lee, and Larry Page. Simplify by Bill Hybels – Pastor Bill Hybels provides a recipe for those that are over-worked, overwhelmed and over-scheduled in Simplify. He identifies the issues that trick us into living frenetic lives and offers practical steps to declutter our lives. A Brief History of Time by Stephen Hawking – In this book, the world’s pre-eminent scientist delves into nature of universe, time and black-holes, anti-matter and the search for a grand unified field theory. While it would be easy to think this book is over your head, the book is written in such a way that it’s accessible to anyone that did reasonably well in high-school physics. Johnny Carson by Henry Bushkin – Written by Johnny Carson’s lawyer, this book provides a tell-all history of Johnny Carson’s personal life and business adventures. If there’s one lesson to be taken from this book, it’s that personal happiness isn’t guaranteed from fame and fortune. Decision Points by George W. Bush –President Bush’s memoirs provide insight into some of the most challenging decisions he made during his presidency and why he made them. All politics aside, it’s fascinating to hear how a president regularly has to take in disparate and imperfect information and make a decision that will affect millions. 41: A Portrait of My Father by George W. Bush – After reading President Bush’s memoirs, I saw that he had written another book about his father’s presidency. While there was some overlap between his two books, there were some fascinating insights into the political life of George H.W. Bush. Off To Be the Wizard, Spell or High Water and An Unwelcome Quest by Scott Meyer – Known as the Magic 2.0 trilogy, these three books tell the story of a group of computer scientists that discover life is a simulation and that reality can be edited through computer programming. Most of them become wizards during the middle ages. If you’re into geek culture, these books are really quite funny and entertaining. 14 By Peter Clines – This book tells the story of a twenty-something that moves into an old apartment building where things just don’t quite add up. The protagonist and his neighbors dig to uncover the building’s mystery and uncover a century’s old effort to forestall the apocalypse. Red Shirts by John Scalzi – I haven’t finished this book as of the writing of this post, but it’s a parody of Star Trek: The Original Series. If you haven’t watched a lot of Star Trek, you probably won’t understand much of the humor in the book. 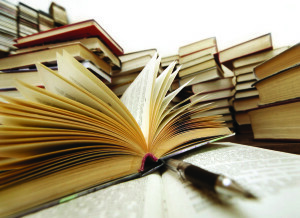 Do you have any great book recommendations? Please leave them in the comments below.